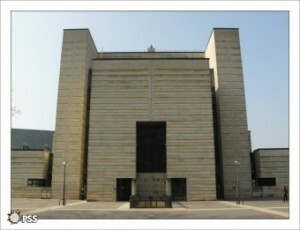 Use of building: Cultural center (national scope). Renovation with change of use. 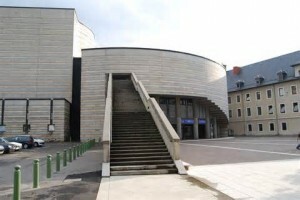 The town of Chambery wants to be a leader in sustainable renovation. The municipality allready benefits from advanced technical skills and is surrounded by assistants to project managemen. MountEE will support this renovation project on very specific topics such as LCC on lighting, with the implementation of the coordinating role within the town and the co-construction and monitoring of the environmental program. Given the very recent launch of MountEE support on this project, this is only a guideline and may change (depending in particular of the diagnosis of the Assitant to Project management). 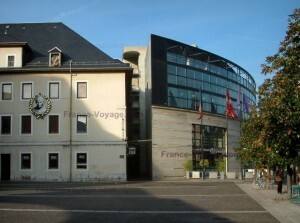 This building is connected to the district heating network of the city of Chambery. The energy mix of the heating network is composed of 35% fatal energy (from waste incineration), 16% of wood energy, 50% of gas. CO2 emissions of this network are 173 g CO2/kWh and are expected to reduce the development of wood energy. At this stage, no specific target is requested, however, the city referential plans to expand the use of healthy materials, environmentally friendly, comfort and health. How to set up a service support at the beginning of the project. Help for setting goals and monitoring their outfits throughout the project. In the framework of this support, Chambery will also use internal tools and develop additional tools, which will be put in common into the MountEE service package.